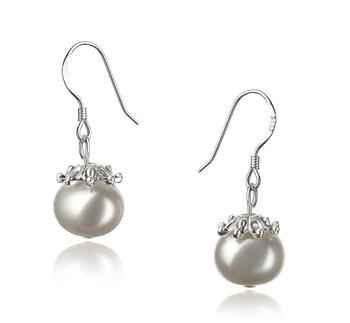 If elegance and sophistication are the looks you are trying to achieve then these white Freshwater pearl and silver sterling drop earrings are perfect for you to achieve such. 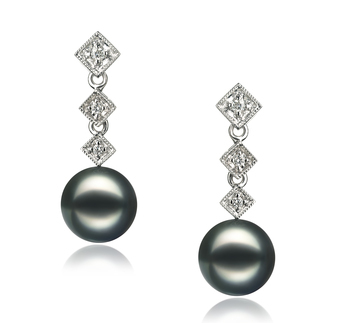 The 9-10mm sized Erma White Freshwater AAAA Pearl Earrings with their 6 gemstones sitting above add the right amount of sophistication to any outfit. 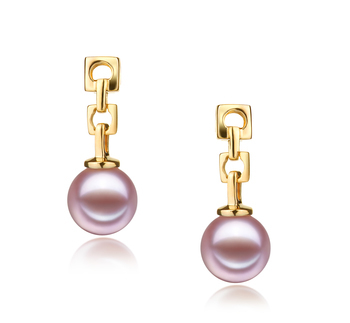 The beauty of these perfectly round pearls with their high-quality luster is the perfect combination that helps to really give these earrings a luxurious shine to them. 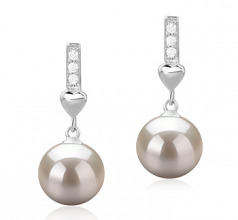 The dangling design allows for more length and also allows the inclusion of 6 gemstones sitting above the pearls that add a real touch of elegance to any outfit that you choose to wear these Erma White Freshwater pearl earrings with. 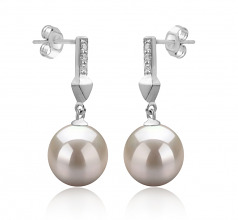 Not only will they look stunning teamed with formal wear, but also casual and business attire. 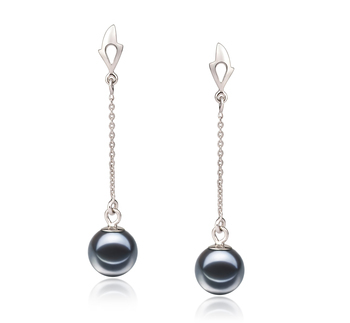 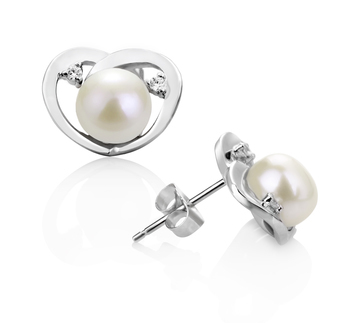 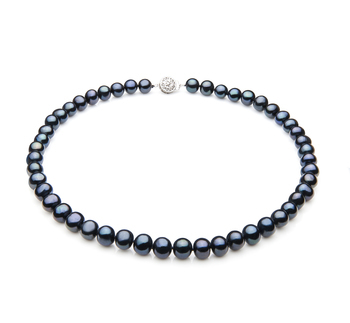 The white round pearls will also allow your more feminine side to shine through. 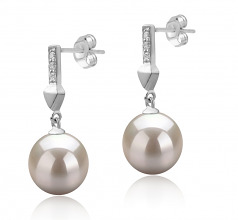 Show only for "Erma Earring Set"